Description: There is no need for monochrome wall tiles to be boring. To demonstrate this, Keraben’s designers have devised up to six different ways of bringing white to life. 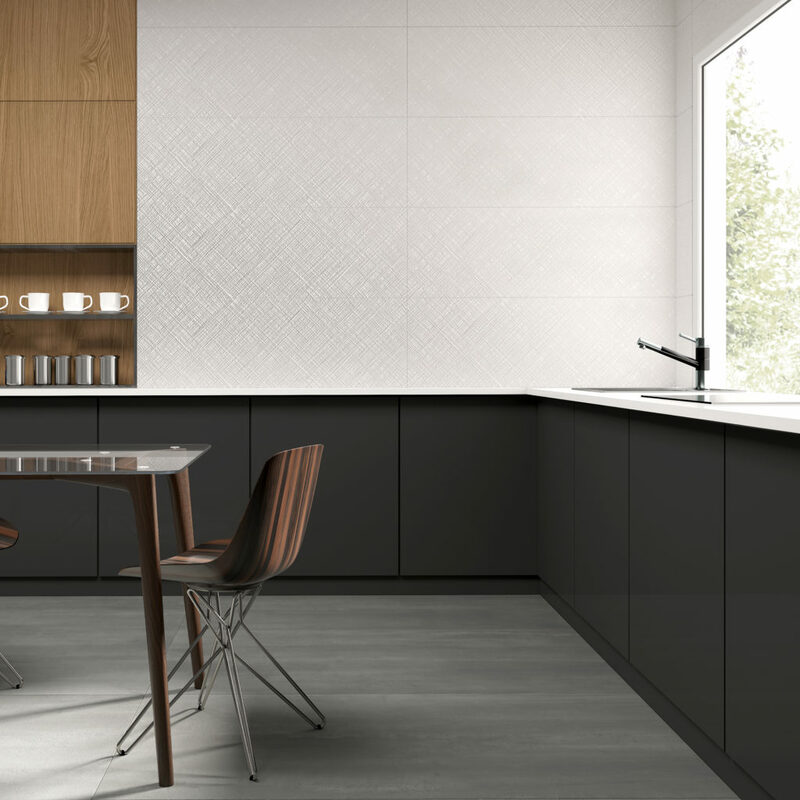 Available in one single shade of white, Essential is inspired by different textures in six different inter–combinable designs.